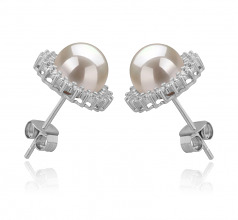 Add some flair to that little black dress with this 7-8mm Dreama AAAA White Freshwater Pearl Earrings Set! The overall retro design is absolutely charming. 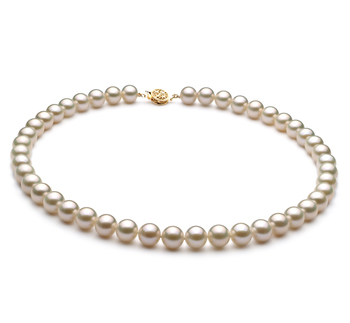 The perfectly round and shiny pearls reveal the top quality of these white pearl earrings. The AAAA quality is also seen in its body, luster and overall grade, which guarantees you a valuable investment. Without any doubt, this pair of white pearl earrings is the perfect combination of sparkle and shine with a fine twist. Each earring contains 42 precious stones, encrusted in the sterling silver body setting. 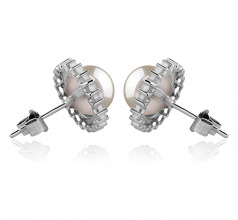 This set of white freshwater pearl earrings contains butterfly silver posts for a secure and comfy fit. 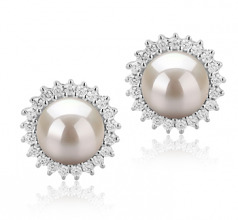 Achieve a beautiful vintage look with this Dreama White Pearl Earrings Pair and an elegant hair-style!